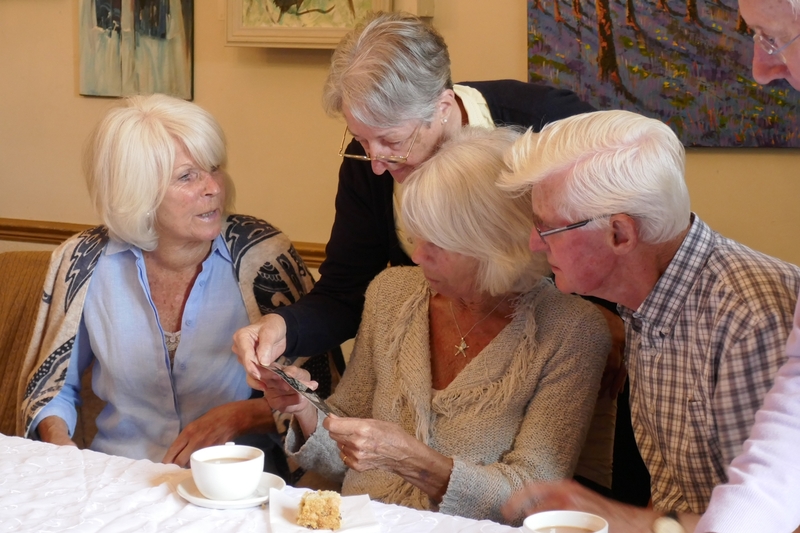 A group of villagers who had grown up in Buriton in the 1940s shared their memories in an event arranged by the Village Association. Recollections of life at home revealed the limited domestic facilities in the village at that time: many had to get their water from a handful of outdoor taps around the village (often frozen in wintertime) and no-one had any running hot water at all. Water for washing was heated “on the copper in the scullery”: a cast iron tub on top of a brick fireplace. Each family collected their own wood so that they could light a fire under their copper and wait ages for the water to boil. Families washed their clothes once each week (usually on Mondays) and their children had one bath each week: one child after the other in the same water! There were no bathrooms or indoor toilets until the early 1960s with waste being taken away (by ‘the lavender men’) or dug into your garden. Going outside to the toilet in the dark was not fun! Houses had open fires in some of their rooms to provide heating and only some houses had electricity – most children using candles to go to bed. Ice would form on the inside of windows in the winter months. Cooking was done on the black range in the kitchen that was kept alight in the daytime and this would also supply the heat to boil kettles of water and to heat irons so that garments could be ironed. Everyone used to eat their main meal together – as a family – with only one cooked meal each day: often in the middle of the day as most men would be working in the village. There was just one shop in the village but groceries could be delivered from the coop in Petersfield and other stores. Most families had large gardens – with vegetables everywhere – and many had allotments as well. Dad often had more hard work to do in the garden after his long day at work – but everybody got their five-a-day in those days! © 2019 Buriton Heritage. All rights reserved. Legal.